Elizabeth Reese, AmSAT, M.Ed, LMHC, is a certified Teacher of the Alexander Technique, a dressage rider and instructor, and mental health counselor. Elizabeth has had a thirty year career as a teacher of mindfulness and kinesthetic awareness. She began studying the AT in 1981 with Marjorie Barstow and considered the work as a core part of her training as a dancer/choreographer/performer in NYC. She trained to be an Alexander teacher from 1991-94 at the American Center for the Alexander Technique. 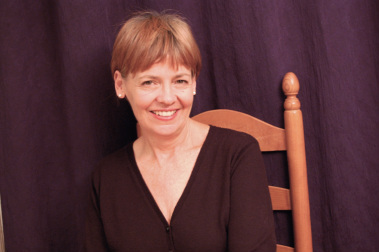 In 2004 and 2006, she completed year-long graduate courses for AT teachers, first with John Nicholls followed by Jessica Wolf’s course The Art of Breathing, based on the practices of Carl Stough. Elizabeth is currently on faculty at Bard College's Vocal Arts Program and at Neighborhood Playhouse in New York City. She is a teacher and co-founder of Postural Rehab, a continuing education program for veterinarians and she was a senior teacher at AT-NYC, a certification program for Alexander teachers. Her Alexander workshops have been presented around the county including Cornell University, Winslow Therapeutic Riding Center, Amity Arts Studio, Centered Riding's Annual Conference, The American Veterinary Dental Forum in Austin, Texas and at several of the American Society for the Alexander Technique’s annual national conferences. In 2012, along with Dr. Judith Shoemaker and Dr. Karen Gellman, she gave the keynote address and presented an AT workshop at the International Veterinary Acupuncture Society’s Annual Congress in Galway, Ireland and, in 2013 and 2014, taught a continuing education course in Denmark for the Danish Chiropractic Association. In 1987, Elizabeth discovered Dressage, the study that united her love of horses, dance and the AT, and became a working student for Craig Stevens. She has studied extensively with Francois Lemaire de Ruffieu and Richard Ulman and has worked with Sally Swift, Karl Mikolka, Uwa Steiner, Betinna Drummond and Dominique Barbier. She recently began training with Tom Noone. Her work with both humans and horses suffering from trauma inspired her to study the relationship of postural stability to emotional resilience. She completed a master's degree in Mental Health Counseling at Hunter College during which time she worked at Mount Sinai Hospital's Day Treatment Program for people with chronic mental illness. For the following three years, she worked as a therapist in community mental health in New York City. Elizabeth maintains a private practice at her farm in Sugar Loaf, New York and in New York City.